Taking to the Highlands and Islands of Scotland, John Alexander sought to capture the colours of the soft early winter light along with a selection of the people who share the same affinity for their landscapes. With the portability of the X1D-50c, John waded across lakes to capture breathtaking sunsets, climbed hills to accentuate contrast and textures in his landscapes, and drew upon natural light to photograph his Scottish subjects. Exploring the Scottish Highlands and Islands, John made his way to Aviemore, the Isle of Arran, Isle of Skye, and Loch Cluanie. “I chose to make this journey to this region to illustrate the scale and natural diversity of the area, to convey a sense of the calm and peace that it offers, and to capture the colours of the soft early winter light,” says John. Heading north we chase the light and are rewarded with a tapestry of colour, shade and texture. While early morning sun begins to paint the clouds and smatter the peaks, the northerly wind stiffens to spread rising steam throughout the loch. As alluring as the Scottish landscapes were, John also sought to connect with those who inhabit these lands. Returning to his roots in Scotland, Tristan trains as a mountaineer, works as an actor, and is a major advocate of taking action toward the environmental cause. Erin is a local to the Isle of Skye. An artist and musician, while once frustrated by the relative remoteness of her place of birth, she has come to recognize the beauty that lays upon the shore of Skye, whose combination of raw, rugged, and tapestry of ever changing colours influences her creative path. Having been on numerous climbing expeditions with various DSLR systems, John preferred the size, weight and shape of the X1D as his photographic tool. Having brought a tripod along with him, he found that he had little need for it. “The ergonomic design and simplicity of use of the X1D made setting up a shot a quick and simple task,” he says. Whether carrying the X1D in hand, as he waded across a lake or trekking up a steep slope, the X1D proved to be the perfect tool for John’s project around Scotland. Thanks to the 16-bit colour definition of the X1D, John could accentuate contrast and textures in the images in order to demonstrate a merging of shapes and shadows. “With this system’s incredible colour rendition, it enabled me to accurately capture a spectrum of tones, from sea to sky, and here in this shot, straight out of camera,” explains John. The colours of the sky transform from misty blue to crimson red as we wait for the moment to capture this breathless scene. Brought up on the Isle of Wight, UK photographer John Alexander’s thirst for adventure started from a young age, with much of his childhood spent afloat on the family boat. Formerly a professional mariner and diver, this first career enabled him to sail within many of our oceans and explore its seas, and when ashore, ignited a passion to document rarefied locations and their inhabitants. 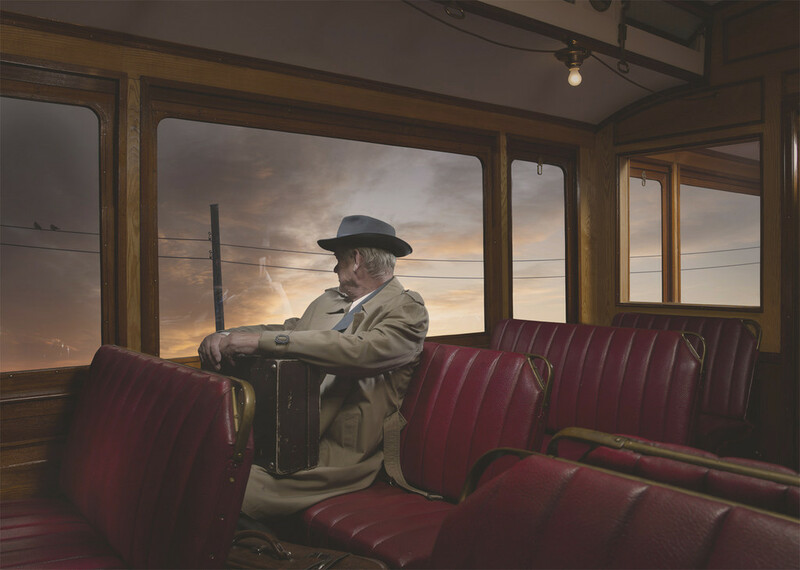 In time, this path yielded to a new profession, combining his passion for exploration and photography while working on portrait and documentary photography projects on location around the globe. See more of his work here or via @johnalexanderphotography. A figure of the past, the door-to-door salesman is the centerpiece of Ole Marius Joergensen’s series Vignettes of a Salesman. Ole uses vivid cinematic lighting set against Norwegian landscapes to tell this story.